The National Transportation Institute was founded in 1995 with a goal of providing accurate and authoritative mission-critical benchmarks to truckload carriers. We started our company in Hudson, Wisconsin, just outside of Minneapolis/St.Paul, under the name SignPost, Inc. As our customer base grew, we also elected to rebrand as The National Transportation Institute, a more descriptive name for what we provide the industry. We have been quoted by many industry publications on driver pay related subjects, as well as national news and business journals, such as USA Today, Forbes, Businessweek, and The Wall Street Journal. We are also a fixture in university transportation and logistics libraries including, Northwestern University, University of Michigan, University of Southern California and the University of Arkansas just to name a few. The National Transportation Institute’s publications are used by insurers, consultants, carriers, shippers and nearly every equity analyst who follow transportation sector stocks. We are the truckload industry experts on company driver and owner operator compensation history, changes and benchmarks. Our largest subscriber base remains in the transportation sectors for-hire and truckload fleets where we are widely used as a tool for fleet executives to understand the direction and velocity of the Class A CDL market wages and emerging pay strategies. Our client base, a Who’s Who of truckload carriers, includes firms such as Werner Enterprises, Covenant, U.S. Xpress, J.B. Hunt, Marten Transport, CR England, Heartland Express, Celadon, Ruan Transportation, Quality Distribution, Walmart, Gordon Food Service, Ace Hardware, and Schlumberger. Now in our 23rd year of original proprietary research, The National Transportation Institute’s benchmark reports have long been considered the gold standard of statistical research relevant to heavy duty truck driver compensation. Our comprehensive documents utilize over 70 unique attributes to measure and concisely explain a wide variety of driver compensation, accessorial pay, bonuses, benefits and corporate policies from private fleets, public and privately held carriers. We cover everything from pay per-mile and hour to 401(k) plans, rider policies and driver down time. As a key information resource to the trucking industry, our in-house research analysts and fleet executives collaborate to design, develop and deliver driver pay studies that transportation executives can have at their fingertips to support critical corporate decision making. The National Transportation Institute’s Executive Committee is comprised of individuals with profound experience in the transportation industry specializing in Information Technology, Sales, Marketing, Operations, Human Resources, Recruiting and Retention. Our combined skills and expertise have previously contributed to executive boards at organizations like yours in the truckload market. Along with this dynamic leadership team, The National Transportation Institute’s gold standard of research and reporting amplifies your authority within the industry and amongst your competition. Gordon Klemp is the founder and president of The National Transportation Institute. He grew up on a Midwestern farm going on to earn bachelor and MBA degrees. 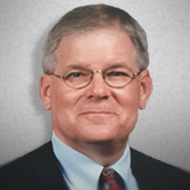 Prior to founding NTI in 1995, Gordon held management positions with companies that operated TL and LTL fleets as well as a firm which supplied decision making benchmarks and optimization software for fleet operations. On the topic of Class A CDL driver wages and benefits, he has been widely quoted in business and trade publications such as the Wall Street Journal, USA Today, Transport Topics, Over Drive Magazine, Commercial Carrier Journal, Heavy Duty Trucking, Forbes and Business Week among other leading publications. Gordon is described by colleagues as possessing profound intellect and integrity, and quietly and articulately owning a room when he speaks, especially when it’s to explore the massive amount of driver wage data he’s surveyed and published over the last two decades. Leah Shaver is the Chief Operating Officer for The National Transportation Institute. 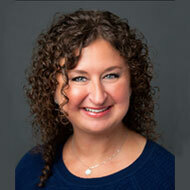 Prior to joining NTI, Leah spent 14 years with a Midwest based multi-platform truckload carrier. During her tenure there, Leah served on the Executive Committee and held numerous positions in driver recruiting and human resources which included: Driver Recruiter, Employee Benefits Specialist, Director of Recruiting and Director of Human Resources. Leah specialized in driver hiring, development, wellness and retention, and implemented and managed a driver mentoring program for new drivers. While serving as Director of Recruiting she was honored by the Truckload Carriers Association as submitting the Best Idea for retaining non-traditional driver applicants in truck driving. Leah is described by colleagues as passionate about making an impact on the success of the people and businesses she works with. In her current role, Leah oversees development of all business operations within the company and also serves on the NTI Executive Committee. 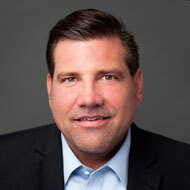 Mark is the Vice President of The National Transportation Institute and also serves on the NTI Executive Committee. Prior to joining NTI, he spent 20 years in Operations and Sales with companies that operated TL and LTL fleets nationwide. Having coined phrases such as “fill the bucket” to increase customer volume and “load them where they land” to increase loaded miles and to reduce deadhead, Mark is described by colleagues as someone whose expertise for transportation and logistics augments a culture that inspires creative and strategic freedom, profitability, employee growth, public safety, management of expenses and job satisfaction. Mark leads development of NTI’s private fleet research and economic studies. He functions with both NTI in-house research analysts and Private Fleet’s executives to design, develop and deliver driver pay studies that recipients can call “spot on” and support critical corporate decision making.